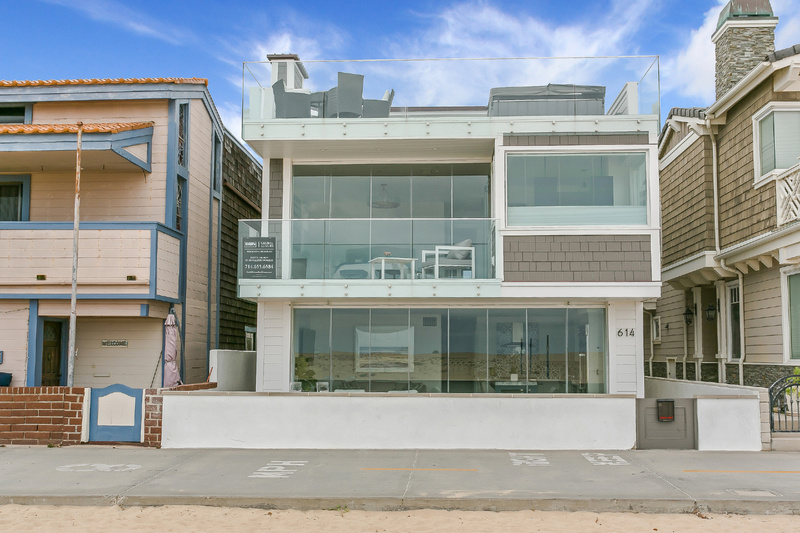 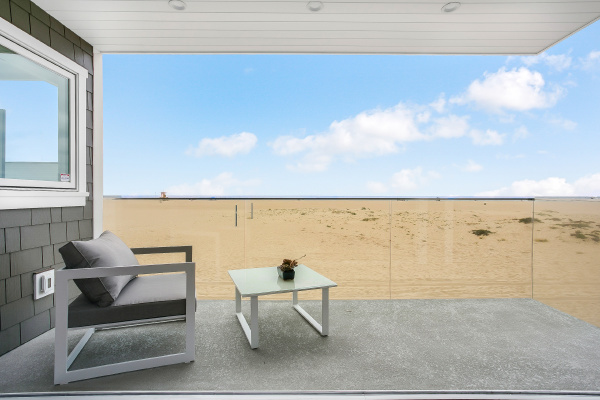 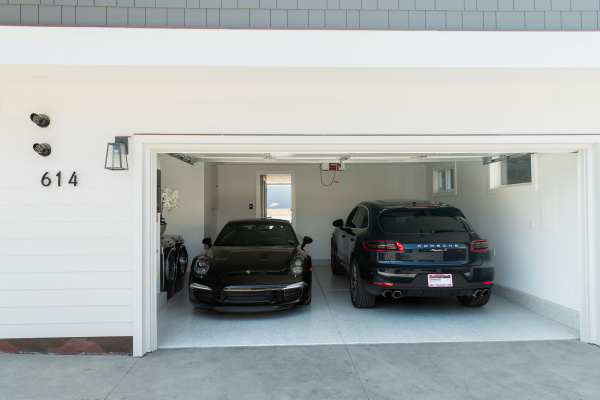 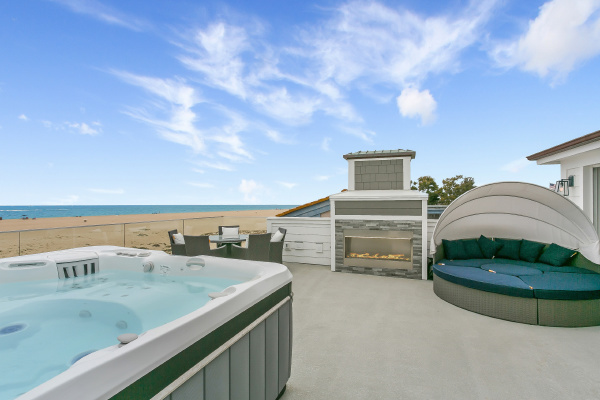 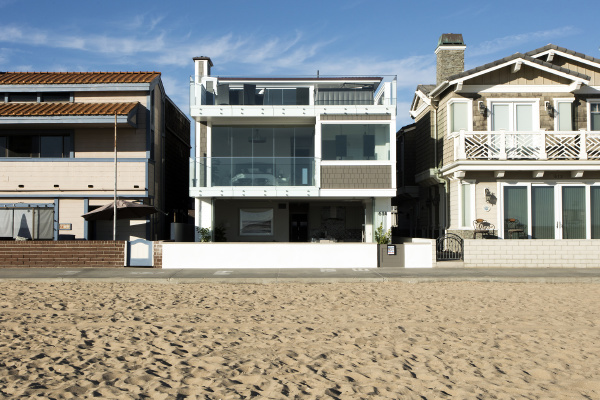 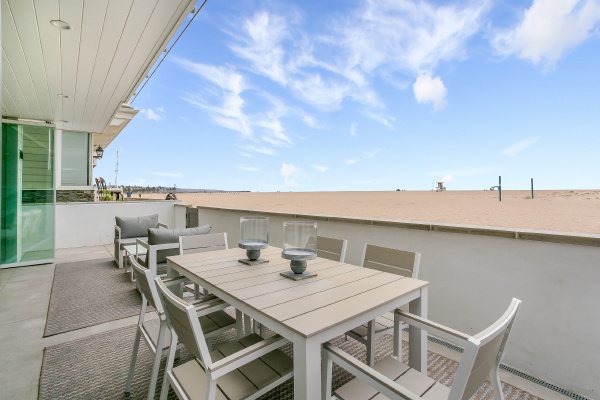 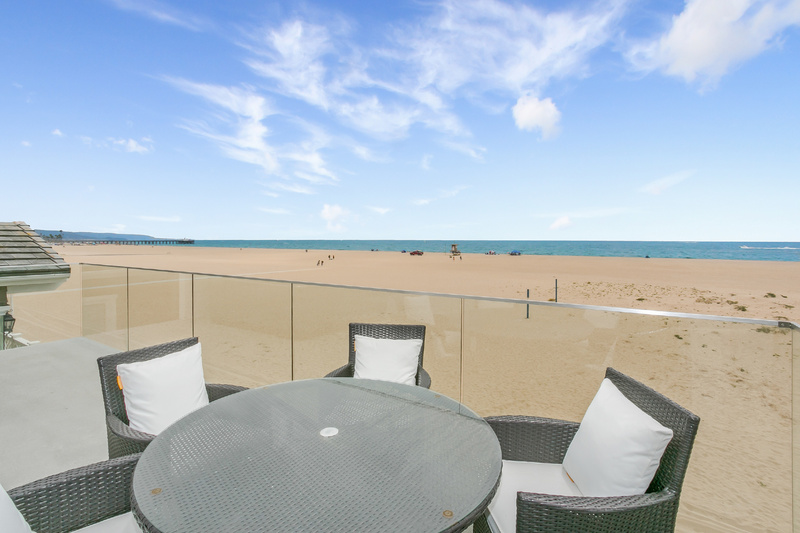 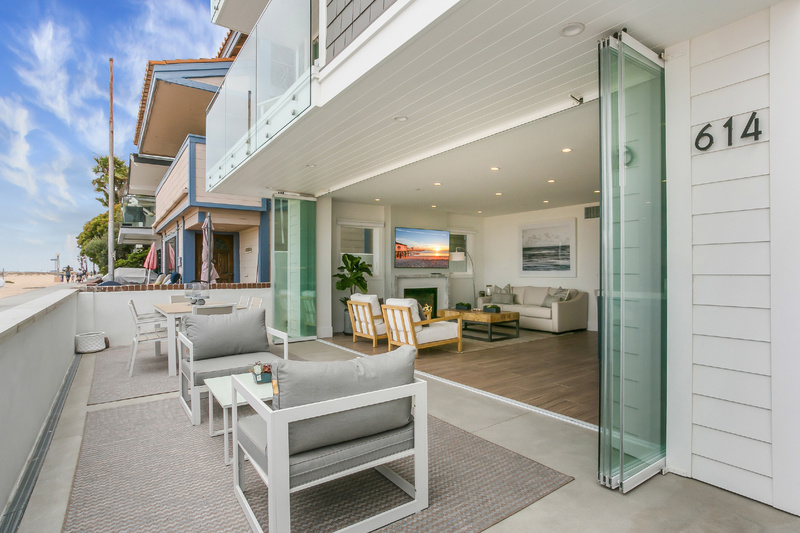 Beachfront bliss on the Newport Beach Peninsula with awing views of the coastline, Pacific Ocean & Catalina Island! 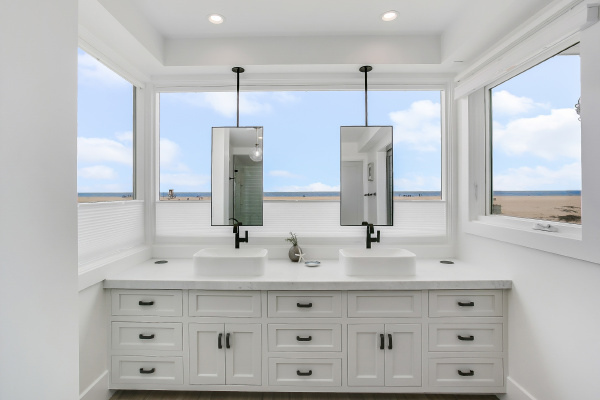 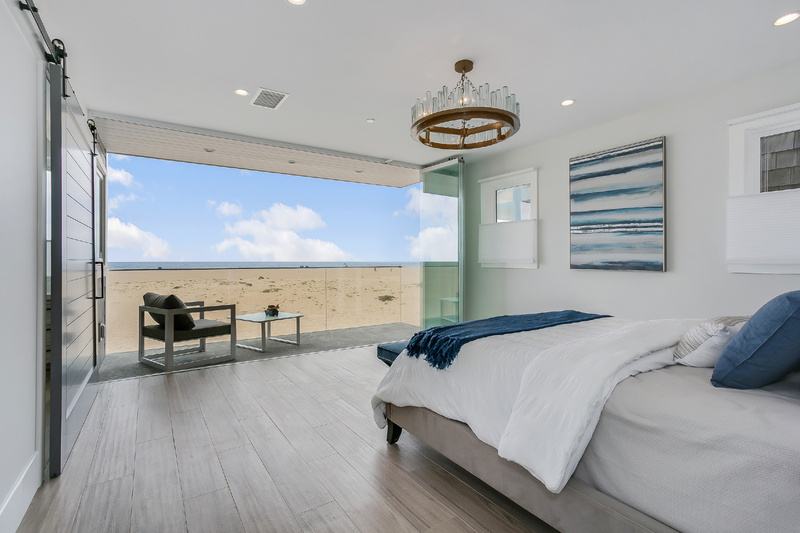 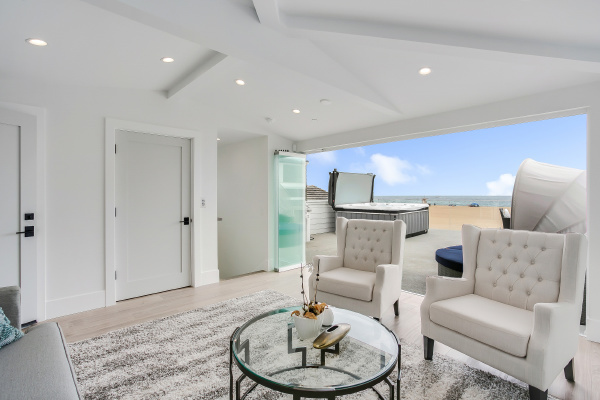 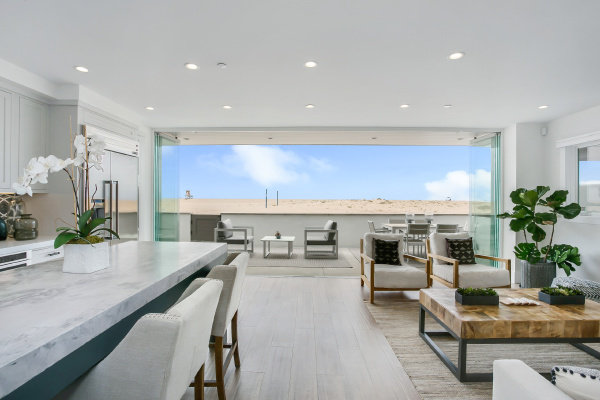 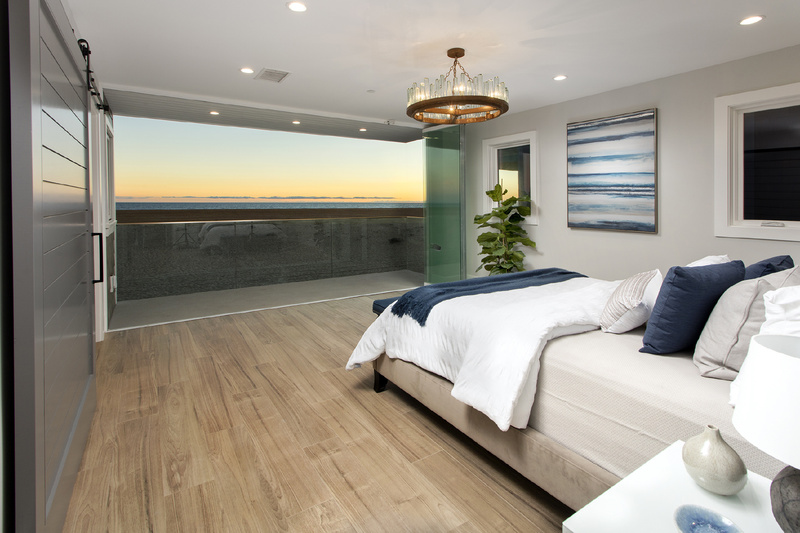 This exquisitely-crafted brand new construction 3 bedroom 4.5 bath estate is almost ethereal, with a peaceful, quiet location & expanses of glass that capitalize on spectacular views of the sand, blue sky & water. 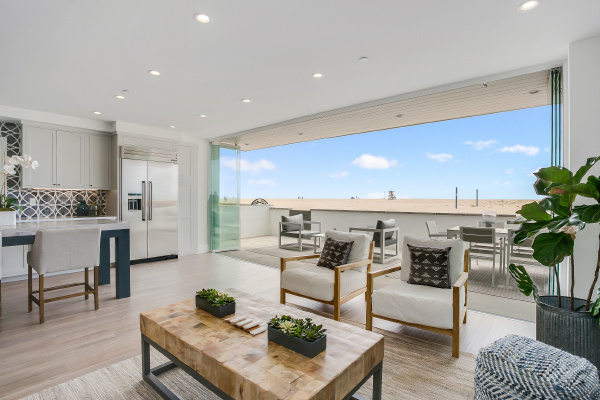 Designed for quintessential indoor-outdoor living, every floor connects to outdoor space via frameless glass folding doors, to experience unobstructed vistas & serenity. 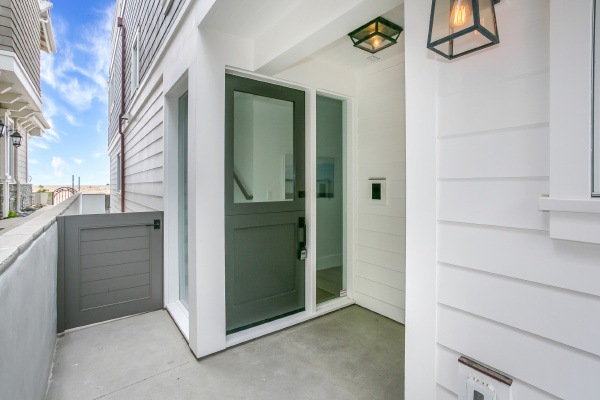 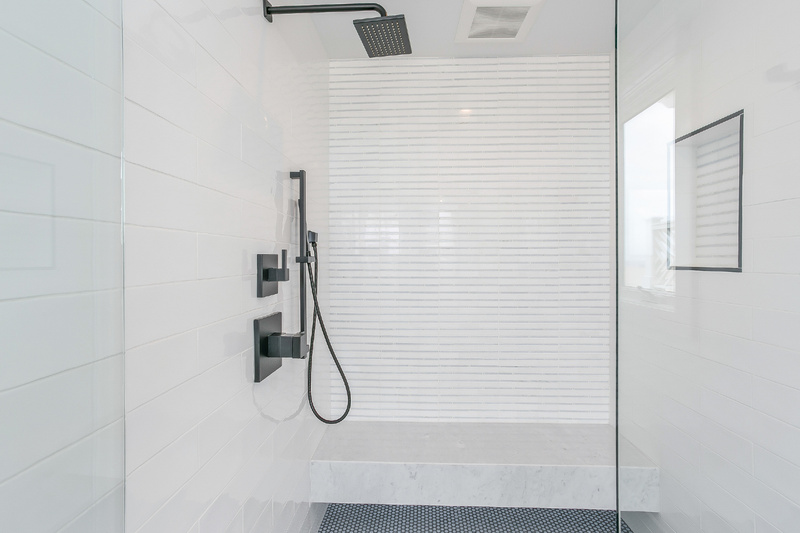 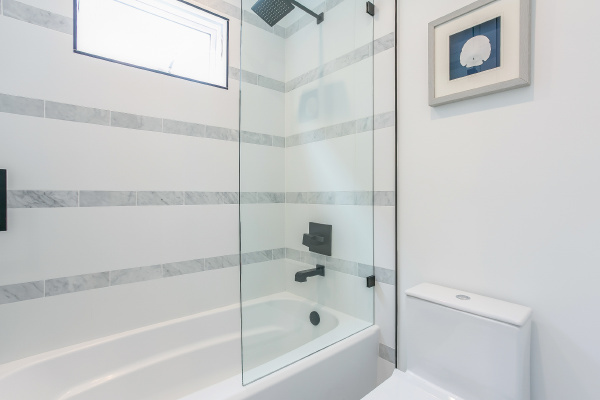 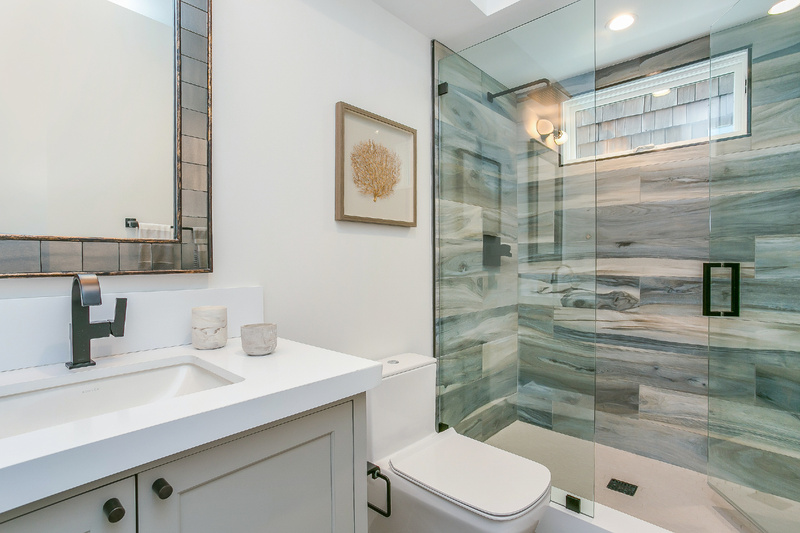 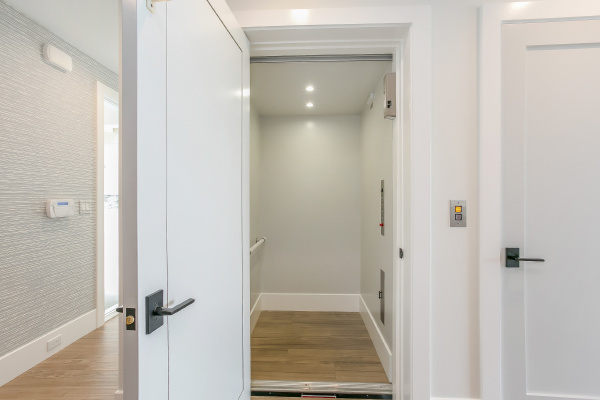 An elevator stops on all 3 levels of this modern masterpiece with every detail considered for style & comfort, and the finest finishes optimizing luxury. 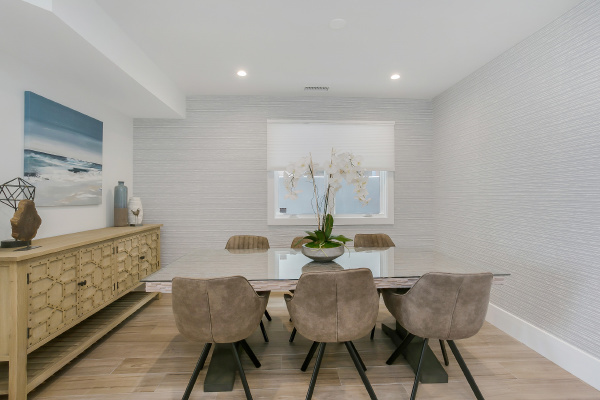 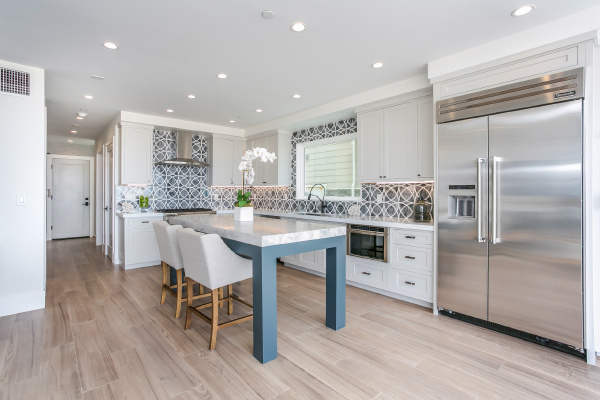 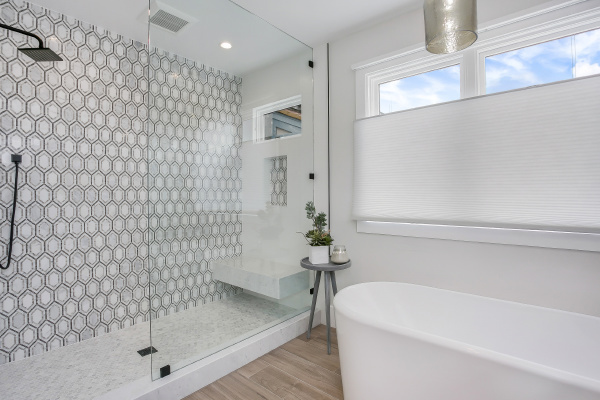 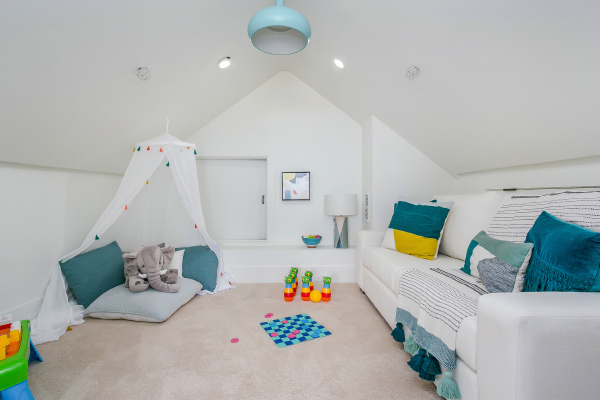 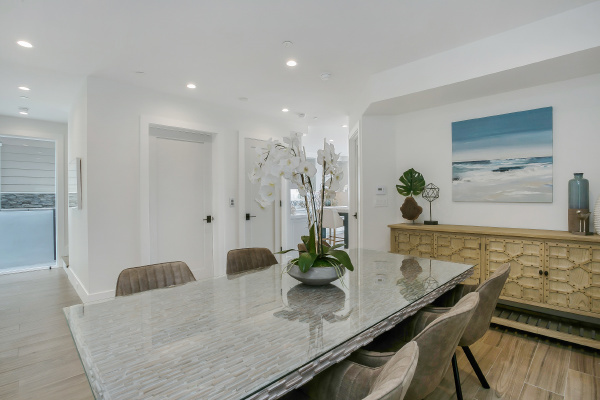 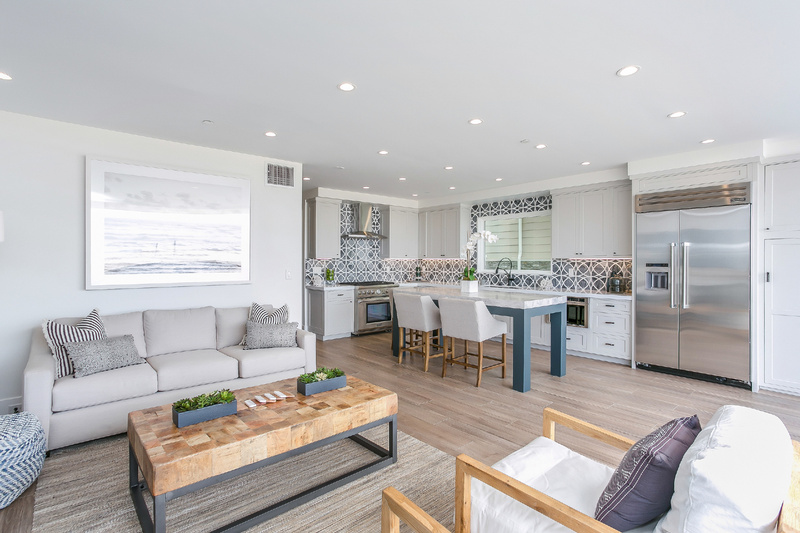 Soft contemporary white & grey tones and chic recessed lighting are complemented by brilliant natural light that pours into expansive living space. 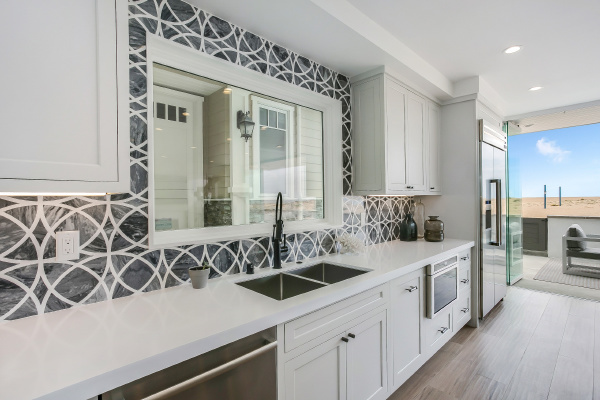 Entertain in the fabulous great room with a fireplace, served by a sleek open chef’s kitchen with a work-of-art marble backsplash & premium Thermador appliances. Dine at the huge marble-top table or on the Zen beach-facing patio. 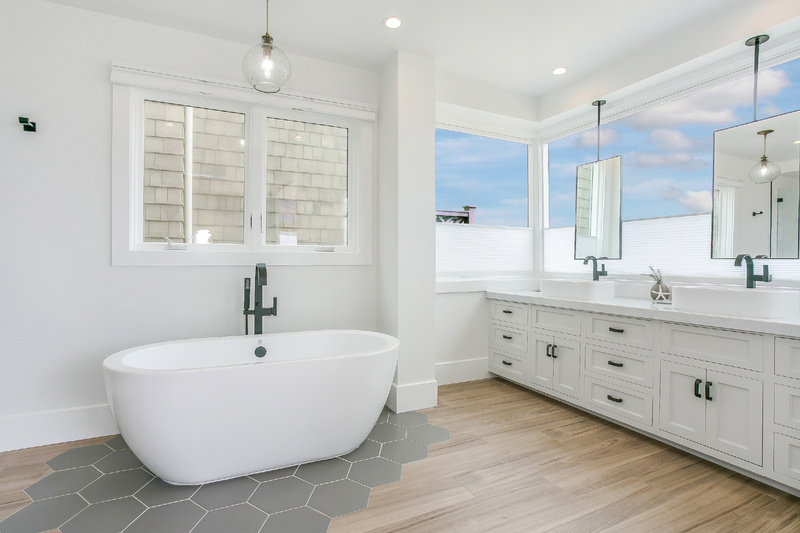 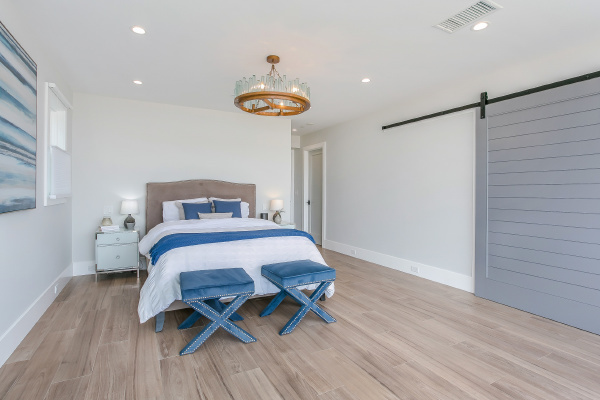 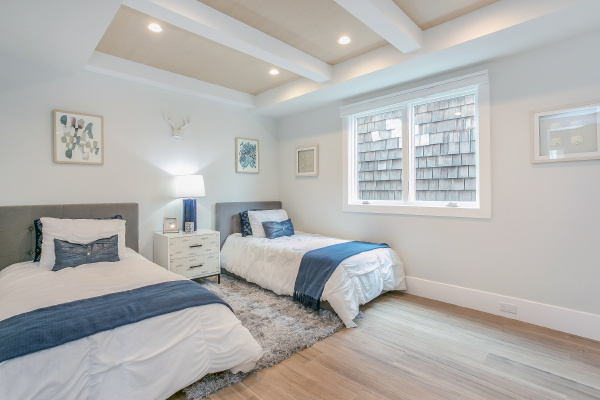 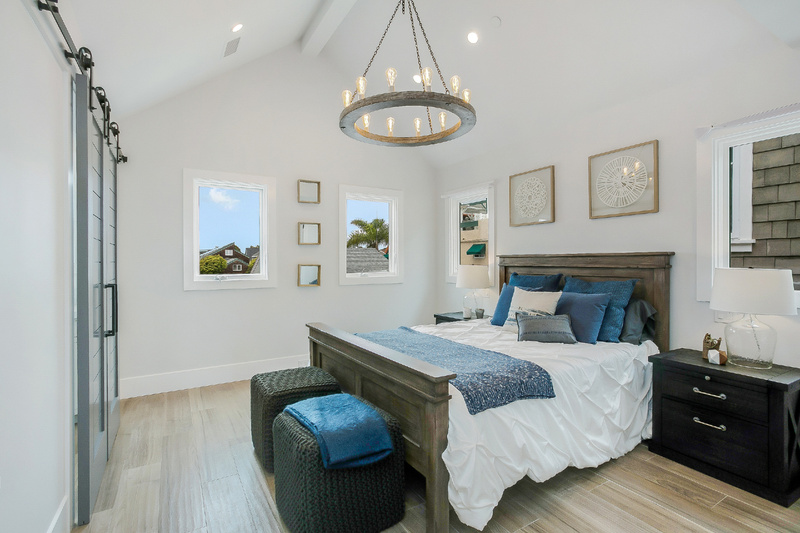 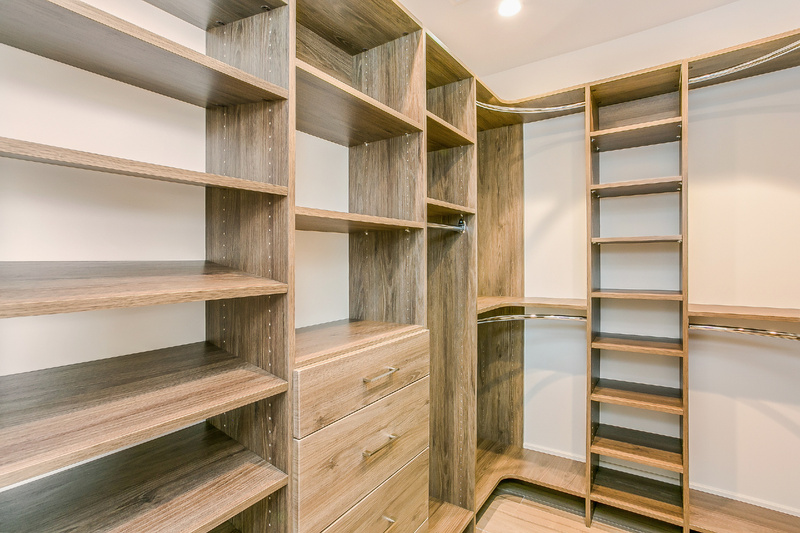 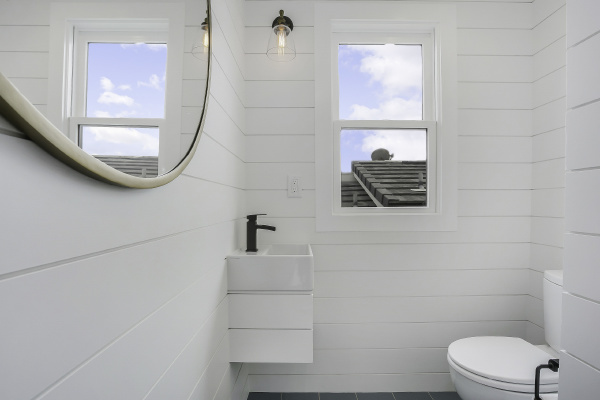 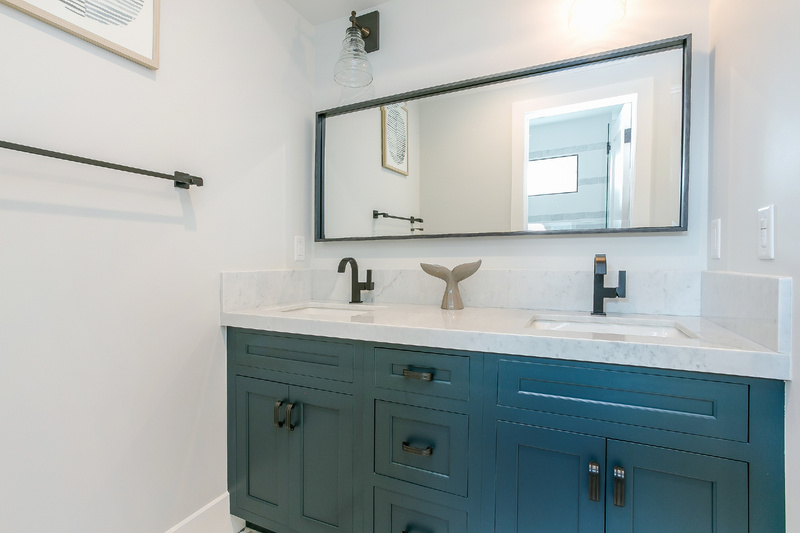 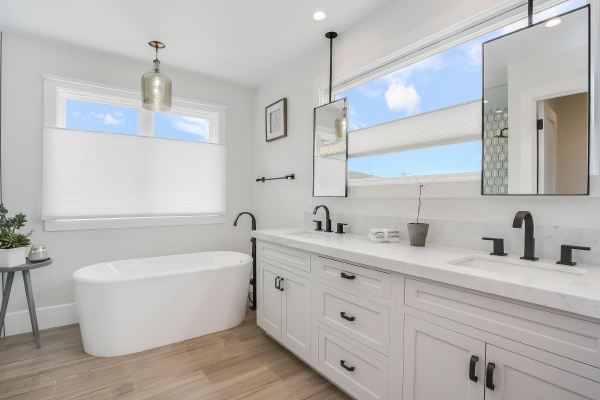 Other highlights include a 1st-floor guest bedroom, dual master suites with barn doors, spa-like baths, generous storage including 2 master walk-in closets, smart features, wiring for sound & dual-zone HVAC. 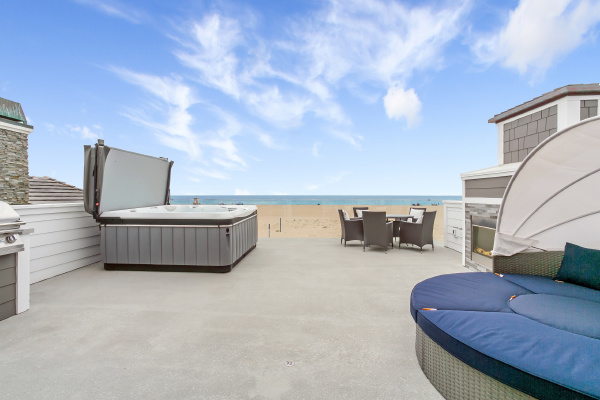 The phenomenal rooftop deck with a custom outdoor fireplace & built-in BBQ area is a true oasis. 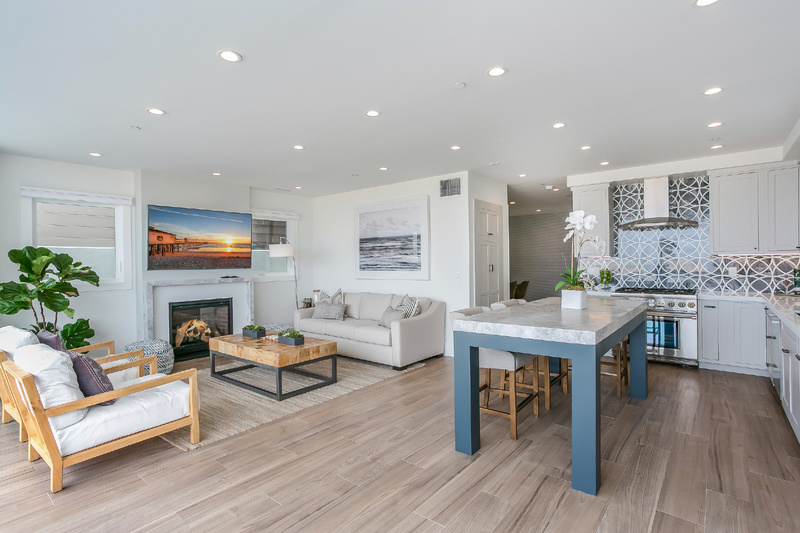 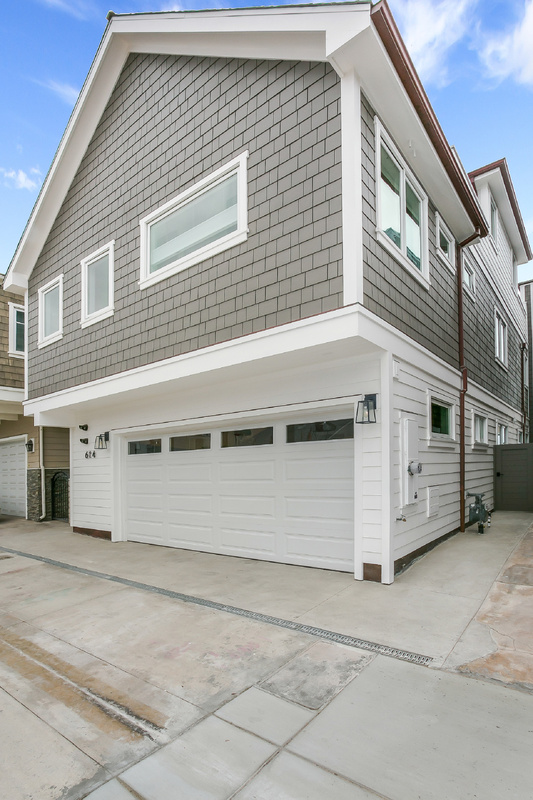 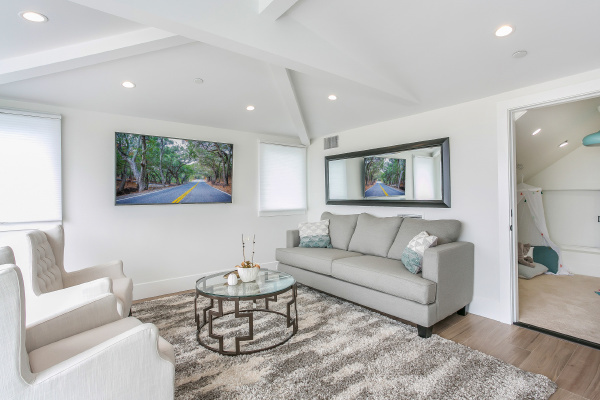 Southern California coastal living doesn’t get much better than this, near the Newport Harbor Yacht Club, Balboa Fun Zone, dining, shopping & water activities.